Angelo Agrizzi 'I'm racist, I agree, judge me on that, it's fine". These were the words of former Bosasa chief operation officer Angelo Agrizzi admitting being a racist at the Zondo commission. 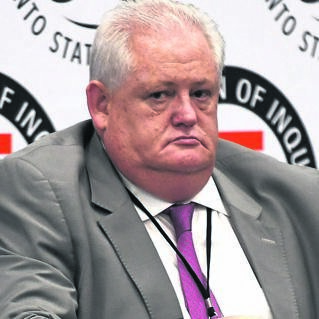 Agrizzi has spent the last eight days at the Zondo commission giving testimony about how Bosasa allegedly paid millions of rand in bribes to top government officials in exchange for contracts. The zondo commission listened to a tape in which Agrizzi was recorded making racial slurs, repeatedly. He told the commission that he knew they were recording him but didn't know it was a trap. He said he would love the commission to hear the bad part of the whole three hours of the clip which has never been played. Agrizzi said that his racist rant was directed towards Gumede and Papa Leshabane. “Those two had made threats to me and towards my family. Yes, I was wrong in expressing these sentiments, however, when people wrong you then one may lose their cool,” he said. He said he made the statements in the privacy of his own home. Judge Zondo asked him if that excuses his racism and Agrizzi said he has no excuse. Zondo told him that what “I have heard you say is totally unacceptable but i will still examine your evidence property in the way a judge should deal with it”. He says he think those who recorded him did so for their own protection. fine". Agrizzi said he's paying the price for the remarks. “My children couldn't go to varsity, they had to work from home,” he said.